VPN speed is not only an important consideration for choosing a VPN service provider but also a concern for many people when deciding whether to use VPN. When it comes to using the Internet, speed really matters. While a VPN can provide better online security and help us bypass Internet blocking, if the speed is terrible, we won’t have a great online experience. In this article, we will discuss some basic topics related to VPN speed, such as: What factors can affect VPN speed? Will a VPN slow down (or speed up) my Internet connection? How to test VPN speed? How to boost VPN speed? etc. Can a VPN Speed Up My Internet Speed? How to Test Your VPN Speed? How to Improve Your VPN Speed? Which VPN Services Offer the Fastest VPN Speed? To answer this question, first, we need to understand how a VPN works. To put it simply, when you visit a website from your computer without VPN, your computer will connect to that website directly and then show you its contents in your web browser. The internet traffic involved in this process might or might not be encrypted, depending on what types of website you are visiting. On the other hand, when you visit a website using a VPN, your computer will not connect to that site directly. Instead, it will connect to a VPN server (a computer provided by your VPN service provider), asking it to fetch the contents for you. The VPN server will then connect to that website, get its contents and then pass it on back to your computer. During this process, the internet traffic between your computer and the VPN server is always encrypted. As you can see, using a VPN to visit a website is like taking a detour from the “normal” straightforward way. Not only the route will be longer, but also extra steps (such as encrypting and decrypting) will be added to this process. For this reason, it’s quite common that using a VPN will indeed slow down your Internet speed. How much does a VPN slow down internet connections? Well, if you are using a good VPN on a pretty fast network, you might not notice too much difference in connection speed. However, if your existing network is already very slow, connecting to a VPN will noticeably make the Internet speed even more slowly. There are a numbers factors that can affect VPN speed. We will discuss them in details in the latter parts of this article. If you have read the previous part of this article, you can probably answer this question yourself: In general, using a VPN will slightly slow down your Internet speed. Normally the best VPN speed you can get is one that’s very close to the Internet speed of your existing network. However, there might be some exceptions. 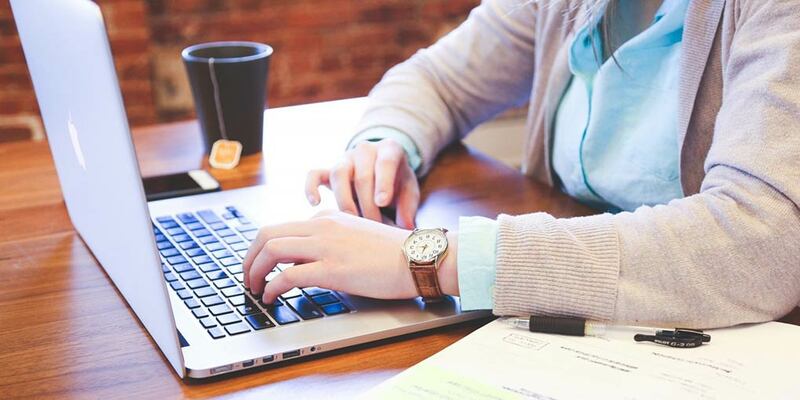 For example, many people have noticed that their normal Internet speed is quite fast, but when they watch streaming videos or down torrents, the Internet will become very slow. What happened to these people could be that their ISPs (Internet Service Providers) had implemented bandwidth throttling on HD video streaming and torrenting. In other words, whenever their ISPs find out their customers are doing this kind of things, they will deliberately slow down the Internet speed. Why would an ISP throttle Internet connections? Well, it could be that they don’t want their customers to use too much bandwidth. It could also be the case that the ISP itself also offers a video streaming service so they will slow down video streaming from their competitor’s site. For torrenting, not only it usually uses a huge amount of traffic, but torrenting could also get the ISP into legal problems. Therefore, they will use throttling to discourage it. How does an ISP do throttling? They can inspect their customers’ Internet traffic using a technology called DPI (Deep Packet Inspection) to identify activities that they don’t like. It turns out that using a VPN can bypass throttling. When you use a VPN, your Internet traffic is encrypted. As a result, your ISP can no longer figure out what you are doing. Therefore, they can on longer selectively slow down your traffic. In this kind of situations, using a VPN can speed up your Internet speed. If you are a frequent traveler, you might have noticed that downing software or podcasts using your hotel’s WIFI could be really slow. However, when you turn on your VPN, the download speed could become much faster. Now let’s take a look at what factors can affect VPN speed and how to improve your VPN speed. If your normal Internet speed is slow, you can’t expect a fast VPN speed. That’s because a VPN connection relies heavily on the connection between your computer and the VPN server. Usually connecting to a VPN server closer to you will result in a faster VPN speed. That’s because as the distance between your computer and the VPN server get longer, the complexity of the Internet traffic will increase and the VPN speed will usually decrease. Using different VPN protocols (such as PPTP, OpenVPN UDP, OpenVPN TCP, L2TP/IPSec and SSTP etc.) can result in different VPN speed. For example, OpenVPN UDP is usually faster than OpenVPN TCP. The higher the encryption strength, the slower the VPN speed. That’s why a 128-bit encryption usually results in a faster VPN speed than a 256-bit encryption. However, you should keep in mind that lowering encryption strength will also result in high vulnerability and make the VPN connection less secure. VPN speed also relies on how powerful the VPN server is. A VPN server with higher server bandwidth and less connected users will bring you a better speed. In certain countries, such as China, the ISP will interrupt or even block VPN connections. If you live in those countries, your VPN speed might be compromised by your ISP. Many VPN companies targeting China users have been forced to come up with special technologies (such as StealthVPN) to bypass this kind VPN blocking. Your firewall settings might affect VPN speed. Also, VPN speed on a wired network (where your computer is connected to your router using a LAN cable) can be faster than on a WIFI network. For testing VPN speed, you can use the online service SpeedTest.net, which has thousands of test servers around the world available for Internet speed testing. When you visit SpeedTest.net’s website, it will automatically pick up a test server based on the location associated with your IP address. 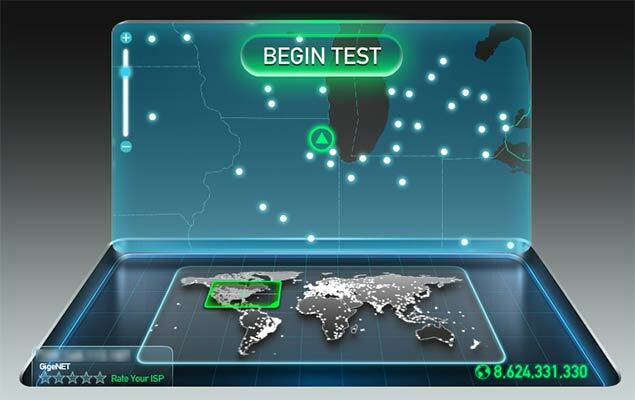 For example, if you are testing from San Francisco (without connecting to a VPN), it will select a test server close to San Francisco. When you click on “Begin Test”, SpeetTest.net will start testing the connection speed between your computer and the test server. For each test, SpeedTest.net will show three values in their result: 1) the Ping speed, which measures how fast you can get a response from the test server. 2) the download speed, which measures how fast you can download data from the test server to your computer. 2) the upload speed, which measures how fast you can upload data from your computer to the test server. When you use SpeedTest.net to test your VPN speed, you should at least do two tests: one without a VPN connected and another with your VPN connected. The result from testing without VPN will give you an idea how fast your normal Internet connection is. The result from testing with VPN will tell you how fast your Internet connection can get when you use a VPN. Please note that if you let SpeedTest.net pick up a test server automatically, the test server for testing the VPN speed is most likely different from the test server for speed test without VPN connected. In fact, these two test servers could be in two different countries if your VPN server is in another country. As a result, strictly speaking, the two test results (with and without VPN) might not be directly comparable. To do a better comparison, you might want to manually choose the same test server for both tests. For example, if you are in China and want to test VPN speed for visiting U.S. websites, you can choose a test server in California for both speed tests. Unless you have a specific reason for connecting to a particular VPN server location, always choose the closest VPN server. For example, if you live in New York City and your VPN service provider has a VPN server in NYC, you should connect to that server for the best VPN speed. If you need to connect to VPN servers in another country to bypass Internet blocking, you should choose a VPN server in the closest country and region. For example, if you live in Beijing, China, you might want to connect to a VPN server in Japan. If you need to connect to a U.S. VPN server from China, you should choose one in the West Coast (such as in Los Angeles or San Francisco) instead of one in the East Coast (such as in New York). As mentioned earlier, changing VPN protocols might change the VPN speed. If you are not happy with your current VPN speed, try switching to a different VPN protocol to see if your VPN speed can get a boost. If you live in a country known for blocking VPN traffic (such as China), you might want to use a VPN service that offers special protocol (such as StealthVPN) to bypass VPN blocking. As mentioned earlier, stronger encryption might result in a slower VPN speed. If security is not your top concern, you can try weaker encryption to speed up your VPN connection. For example, you can try the 128-bit encryption instead of the 256-bit encryption, or even try PPTP instead of OpenVPN because PPTP uses a weaker encryption. In general, a wired Internet connection offers faster speed than a Wifi network. When you use a VPN, you might even notice a bigger difference. Therefore, if possible, use a wired connection instead of WIFI to boost your VPN speed. Not all VPN providers offer the same speed and reliability. The difference in VPN speed could be quite big between two VPN providers. If you’re not happy with your current VPN provider’s speed, you might want to switch to another one with offering faster speed. In the next section of this article, we will list some VPN providers that are known for offering good speed. VPN speed is an important consideration when choosing and using a VPN. Due to the way how a VPN works, usually the Internet speed will be slower if you use a VPN (although there are special situations where a VPN might speed up your Internet speed). However, if you understand what factors can affect VPN speed and do some fine tuning accordingly, you will be able to boost your VPN speed and have a better online experience.